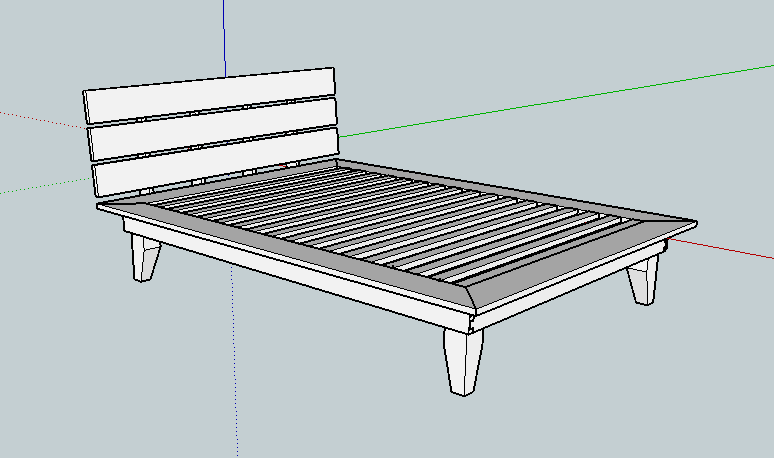 Now that the Platform Bed build is underway I’ve been thinking and rethinking how I plan to attach the “undercarriage” portion of the construction to the platform itself. Because of concerns with wood movement I don’t want to simply glue it in place (although that could work with this design too) and I’d also like to be able to take it apart for ease of movement and storage if it was ever necessary (as in…when the boy moves out and takes it with him). I’m more than likely going to use a mechanical fastener like a pan-head screw. Which when looking from the bottom upwards means you would be seeing a series of exposed screw heads. Not that big of deal considering…it’s on the bottom…but I’LL KNOW it’s on the bottom and completely exposed. So to ease my burden of knowing they’re down there and exposed, I’m planning to countersink the screws so they’re below the surface. But since I’m using pan-head screws, this ordinarily means I have to approach each countersunk hole in a two step process. 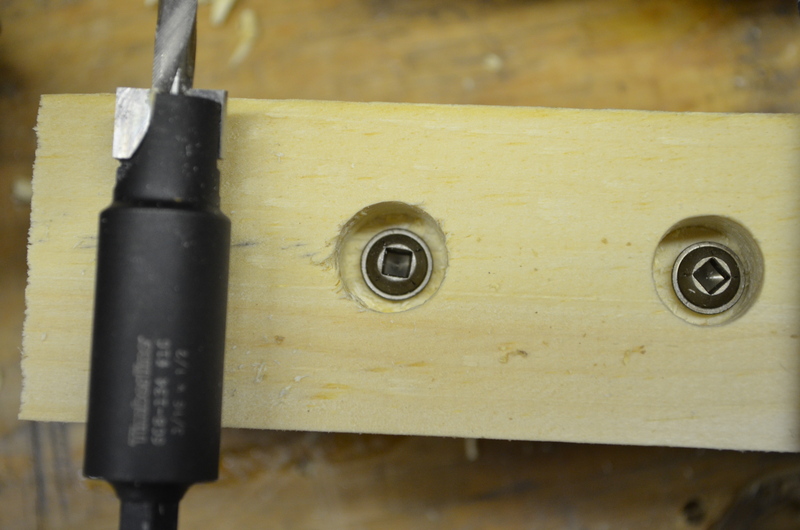 First I drill a hole with an appropriately sized Forstner bit and then I switch to an appropriately sized twist bit to finish drilling the hole for the screw shank to pass through. This really isn’t that big of a deal, except it adds more time to the job and quite often the hole resulting from the twist bit can be off-center (which messes with the voices in my head even more). 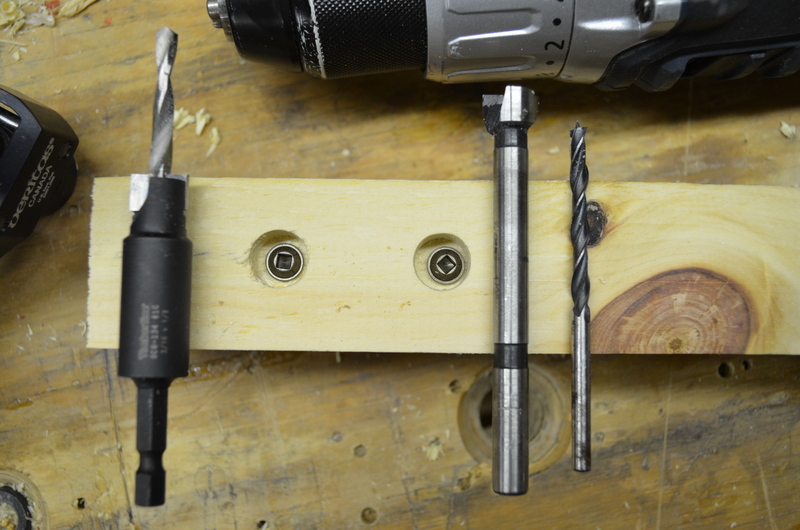 So after talking with the folks at Tools Today toolstoday.com they helped me find a counterbore bit that creates a flat-bottom countersink in one step versus my usual two steps…but more importantly…IT’S CENTERED! I tried the bit out a few times and I found that because it only has two cutting wings there can be some tearing of fibers at the hole opening, but when I slowed down how fast I drilled into the material, that tearing dramatically subsided to almost unnoticeable. Considering it cuts my drilling action in half by going from two drill bits for each hole to one…I can slow myself down a little for it! 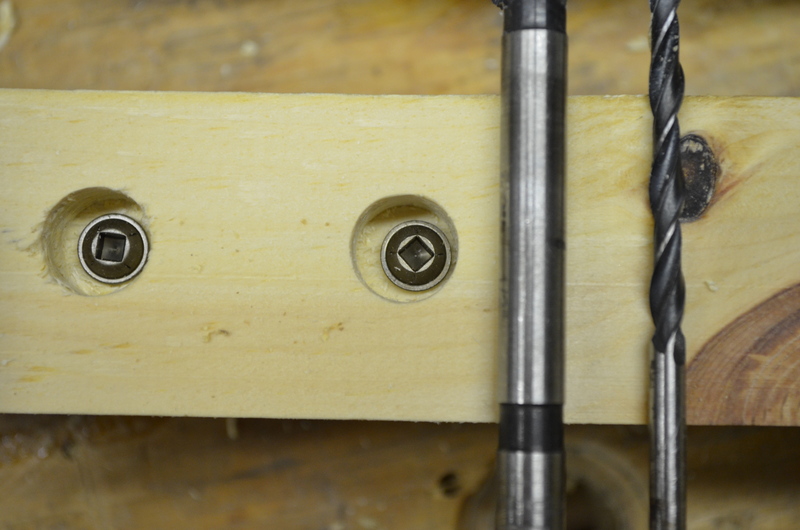 And while I was talking with the guys I also found a version of a tapered countersink bit that I had to tryout. 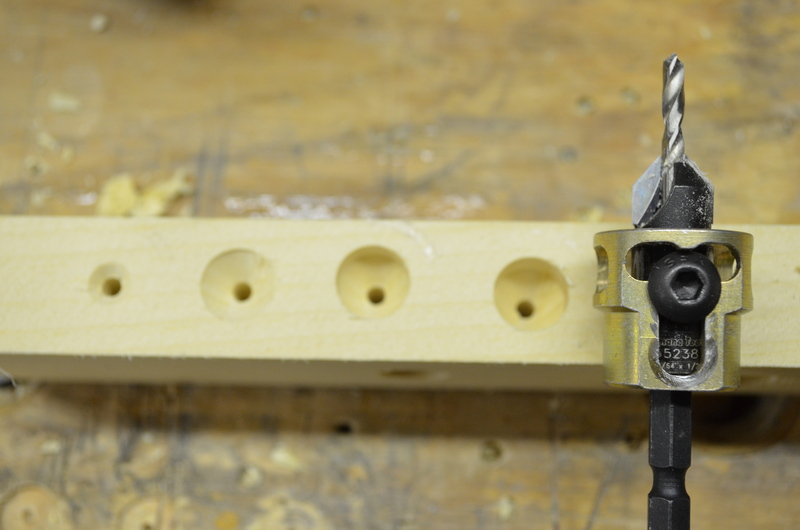 This bit from Amana Tools has an adjustable depth stop built-in. It looks a little heavy, but once I tried it out a few times I’m completely sold on it. 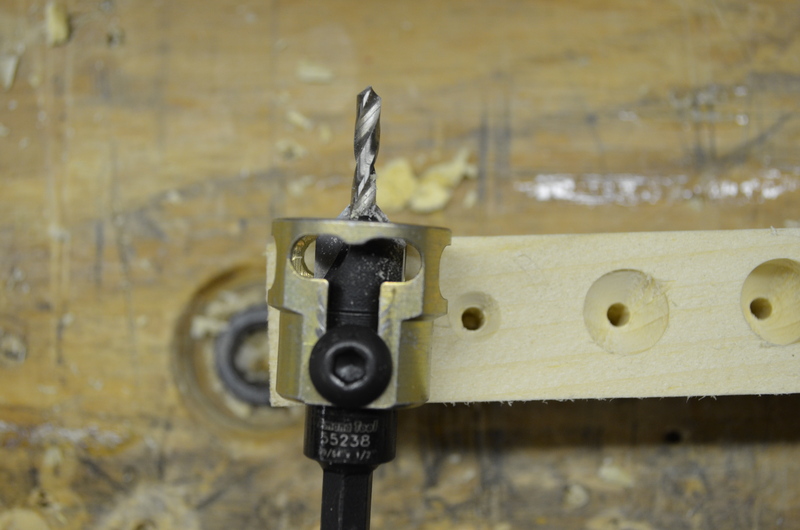 I know…I know…it’s not that difficult to stop drilling with a traditional tapered countersink at a depth you need. I don’t know about you, but when I have a series of tapered countersunk holes to make, they usually come out at various depths. This version makes it possible to get the same depth each and every time. To checkout the flat bottomed counterbore bit like I have from Tools Today CLICK HERE. For the tapered countersink with adjustable stop CLICK HERE. Tell them “Matt sent you”! 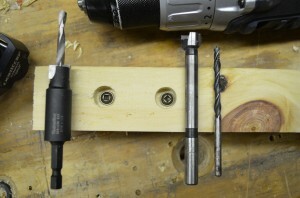 You can also use a pocket hole drill, but I always just go for the forstner for some reason too. I know! It’s amazing how much time we spend on the “little things” in a project. « Woodworking in America 2013 Bound Next Week!